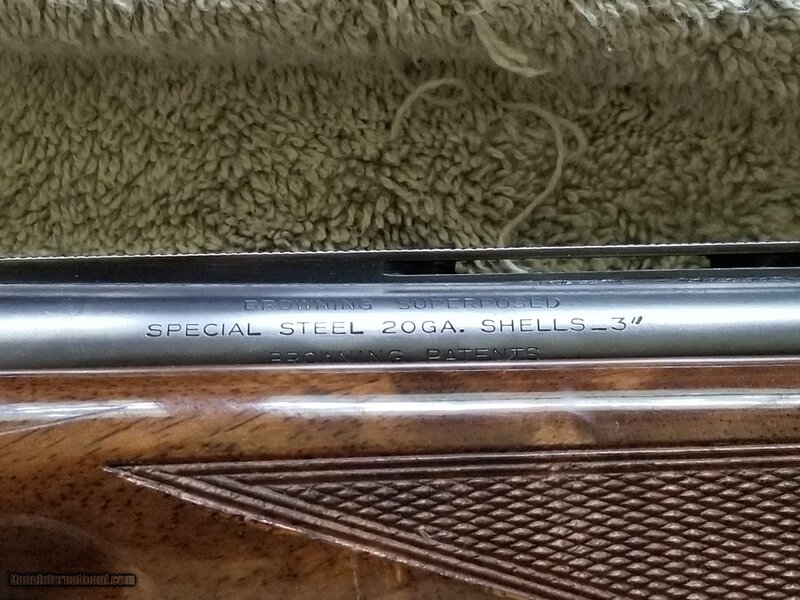 BROWNING SUPERPOSED LIGHTING 20 GA. 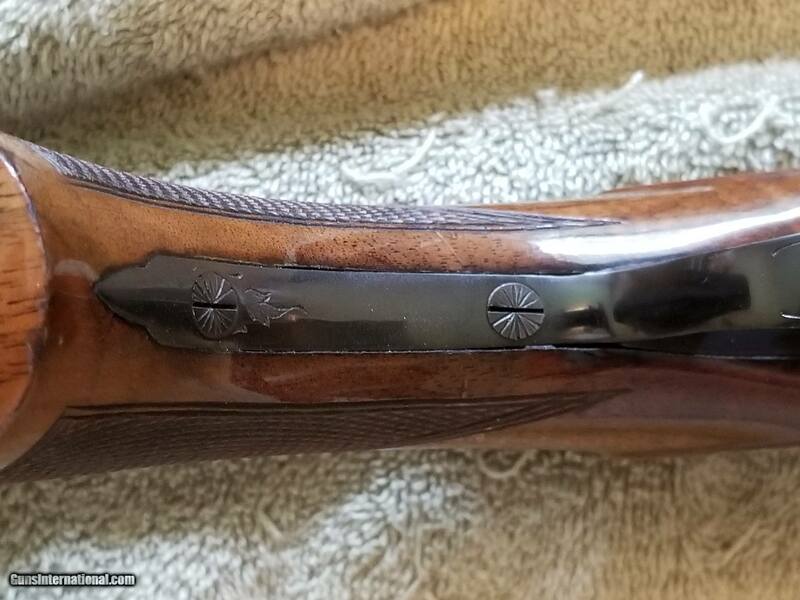 VERY NICE BROWNING SUPERPOSED LIGHTING 20 GA WITH 26 1/2INCH BARRELS. BORE NICE AND SHINNY. FEATURES LONG TANG SQUARE KNOB MADE IN1973. SCREW SLOTS ARE LIKE NEW FROM THE FACTORY. 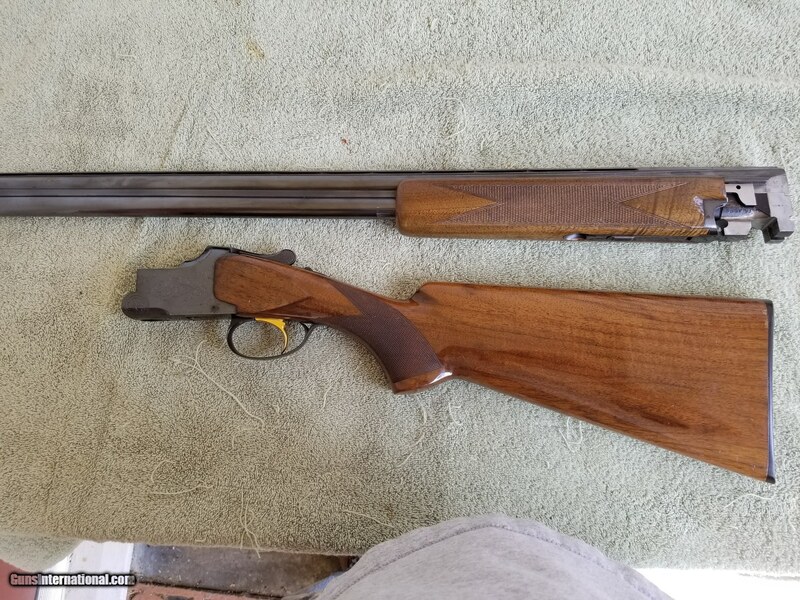 WOOD HAS A FEW HANDLING MARKS AND I WOULD RATE IT 95 TO 96 %. BLUE IS 97 TO 98%. NO RUST .ACTION TIGHT WITH TANG WELL TO THE RIGHT. SHIPPING 45.00 TO YOUR FFL IN THE LOWER 48. MONEY ORDERS PERSONAL CHECKS OK.